IF TUPAC SHAKUR WAS ALIVE RIGHT NOW, HE WOULD BE TURNING 48-YEARS-OLD ON JUNE 16, 1971. ACCORDING TO A CONSPIRACY THEORY, TUPAC SHAKUR IS NOT ONLY ALIVE, BUT THEY CLAIM TO HAVE A PHOTO THAT “PROVES” THAT THE LEGENDARY RAPPER DIDN’T DIE. TUPAC SHAKUR DIED ON SEPTEMBER 13, 1996, AFTER SUCCUMBING TO HIS FOUR GUNSHOT WOUNDS HE SUFFERED FROM A DRIVE-BY SHOOTING IN LAS VEGAS, NEVADA, SIX DAYS EARLIER. OR AT LEAST THAT’S WHAT WE’RE TOLD TO BELIEVE. THERE ARE MANY PEOPLE BELIEVE TUPAC SHAKUR, WHO WAS BORN LESANE PARISH CROOKS, NEVER DIED AND IS STILL ALIVE TO THIS DAY. CONSPIRACY THEORIES CONTEND THAT SHAKUR FAKED HIS DEATH SO THAT HIS ENEMIES WOULD THINK HE WAS DEAD. THERE HAVE BEEN ALLEGED TUPAC SIGHTINGS IN CUBA AT A BOSTON CELTICS GAME, DRINKING HAND GRENADES IN NEW ORLEANS, AT THE BET AWARDS, AND KIM KARDASHIAN SWORE SHE SPOTTED TUPAC. SUGE KNIGHT’S SON SAID SHAKUR WAS STILL ALIVE AND LIVING IN MALAYSIA. THE NEWEST “TUPAC IS ALIVE” SIGHTING DOESN’T GIVE THE LOCATION OR THE DATE OF THIS ALLEGED ENCOUNTER WITH THE DECEASED RAPPER. THE YOUTUBE CHANNEL WIRED UP TV UPLOADED A VIDEO ALLEGING TO BE A CURRENT-DAY TUPAC SHAKUR. THE QUESTIONABLE YOUTUBE ACCOUNT ONLY HAVE FIVE VIDEOS ON THE CHANNEL AND THE OLDEST BEING FROM MARCH 31, 2019. OTHER VIDEOS FROM THE CHANNEL ARE TITLED “TUPAC ALIVE : NEW PROOF PAC FAKED HIS DEATH!!! 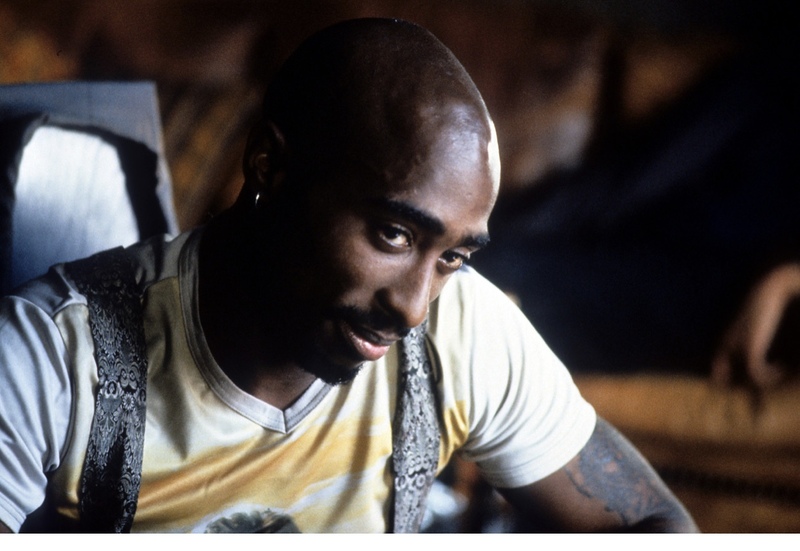 !2019” AND “TUPAC ALIVE : DEAL WAS THE REAL TARGET!! BIG MURDER SOLVED.. TUPAC WILL BE FOUND.” ODDLY ENOUGH, THE CHANNEL COULD NOT AFFORD TO PURCHASE THE VIDEO EDITING SOFTWARE AND THUS THERE IS A WATERMARK ON THEIR VIDEOS. APPARENTLY, THE CONSPIRACY THEORISTS BELIEVE THIS IS WHAT TUPAC WOULD LOOK LIKE AT 47-YEARS-OLD IN MODERN TIMES. TUPAC, THE AFRICAN-AMERICAN WHO WAS BORN IN EAST HARLEM, IS APPARENTLY PART LATINO NOW. WHEN THE NEWS THAT NIPSEY HUSSLE HAD DIED FROM BEING SHOT DEAD, THE OFFICIAL ACCOUNT OF TUPAC SHAKUR’S ESTATE COMMENTED ON TWITTER. “WE HAVE LOST A CHAMPION. UNTIL WE LEARN FROM HIS LIFE AND REPLACE HIS EFFORTS- WE WILL BE WEAKER WITHOUT HIM,” THE TWITTER ACCOUNT SAID ABOUT THE SLAIN RAPPER WHO WAS TAKEN FROM US FAR TOO YOUNG. THE SAME AS TUPAC.